Home / KB Collagen and Whitening / KB whitening pen / Kyusoku Bihaku / whitening products / Kyusoku Bihaku promises Whitening at its best..
Kyusoku Bihaku promises Whitening at its best.. In the country, it is a common mentality that you are most pretty when you have a lighter and fair skin. It is evident as many celebrities feel compelled to change their appearance in order to fit within that definition of beauty. The lightness or whiteness of one's skin is significant nowadays that it's like a physical marker of wealth, social status, and a privileged upbringing. But the fact is, aside from what was stated above, most people, especially women wanted whiter and fairer skin to hide age spots and other types of skin hyper pigmentation that causes dark patches and uneven skin tone. Every woman dreams of delaying ageing and maintaining that white and youthful glow. Kyusoku Bihaku or KB is currently the country’s leading glutathione supplement. Kyusoku Bihaku is a japanese word means "PURE WHITE". KB products are genuinely Japan Formula and was brought here by the first company who manufactured the different kinds of skin whitening pills since 1999. This distinction did not come easy as KB for the past 3 years has endured problems and controversies on the path to becoming the Philippine’s best. To date, KB is the only glutathione supplement in the Philippines to offer glutathione in free-form with NAC in the blend. This makes KB a highly efficient and effective glutathione supplement compared to other brands. KB owes this durability primarily to its unmatched quality, unique blend and maximum effectiveness. Collagen is important in maintaining skin health as well as the structural integrity of our joint cartilage. With this fact, people, especially the old ones, find ways to revitalize their collagen. They usually look for formulas that directly target collagen stores the body begins to lose starting 20. Ordinarily, companies have it in granule or milk form, some have it in capsules. KB Collagen not only whiten's one's complexion but also provides collagen. It is different because it is in tablet form. It contains fish collagen and cartilage extract that help regenerate collagen and relieve swollen joints respectively. 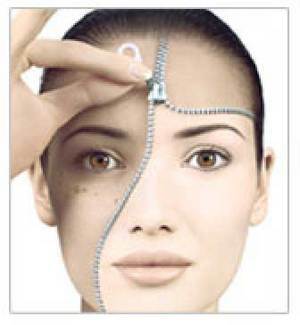 Fish Collagen is mainly used as a cosmetic aid to decrease the appearance of wrinkles. It also includes CoQ10 for the maintenance of cardiovascular system; Swallow Nest Extract and Vitamin C for the immune system. It also includes silk peptide, pearl powder, pearl coix extract and Vitamin E to give skin an ageless, natural fair and pinkish glow. KB Collagen plus whitening tablet as it brings you the most complete system renewal packed in tablet form. Smile had been known to have a number of health benefits. Smile is the cheapest form of alternative medicine because its' free. It brings positive vibes to people you mingle with. Teeth serves as a mirror to one's personality likewise a gateway to boosting one's confidence. But teeth can be stained and be subjected to unhealthy effects of our lifestyle. Stained teeth is an effect of prolonged exposure to certain food colorings and tobacco use. KB came up with a new discovery that proves to bleach the stains in one’s yellowish teeth. 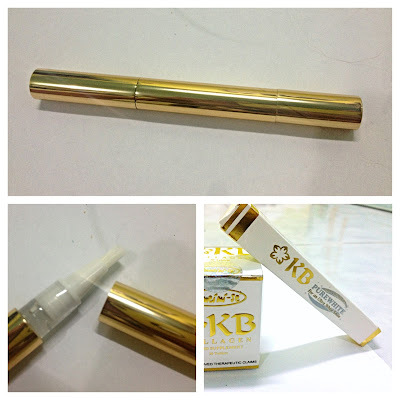 The KB Pure Whitening Pen is a part of the popular KB Skin Whitening Set that sets to bring teeth to its normal, lustrous white.This innovation was formulated using active ingredients primarily carbamide peroxide and glycerol. Carbamide Peroxide is a lower-dosage formulation of hydrogen peroxide that is proven to strongly whiten teeth. Glycerol, on the other hand, is a colorless, odorless, viscous liquid that is widely used in pharmaceutical formulations especially in dental whitening. Other agents include deionized water, ethylene diamine, tetraacetic acid, carbomer and poly vinylpyrrolidone. The whitening pen is proven to be effective and the fastest way to whiten teeth. The whitening pen is being sold to the market at the retail price of 595 pesos. In minimum of two weeks, one's teeth will be back to its original gleam. Kyusoku Bihaku (KB), in partnership with Yumeimise is currently your best source of whitening products that would help address your skin needs to maintain every woman's white and youthful glow.